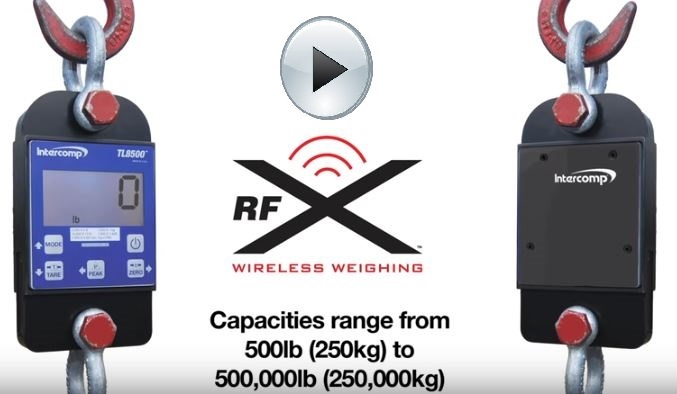 Intercomp Tension Dynamometer are Lightweight, Compact in Design for Cranes, Riggers, Shipyards, Construction Sites, Surveyors, Inspectors, Utilities are Cost-Effective, Wireless, Overhead Load Management devices. When working around overhead loads or near line tensions, accuracy and safety cannot be compromised. 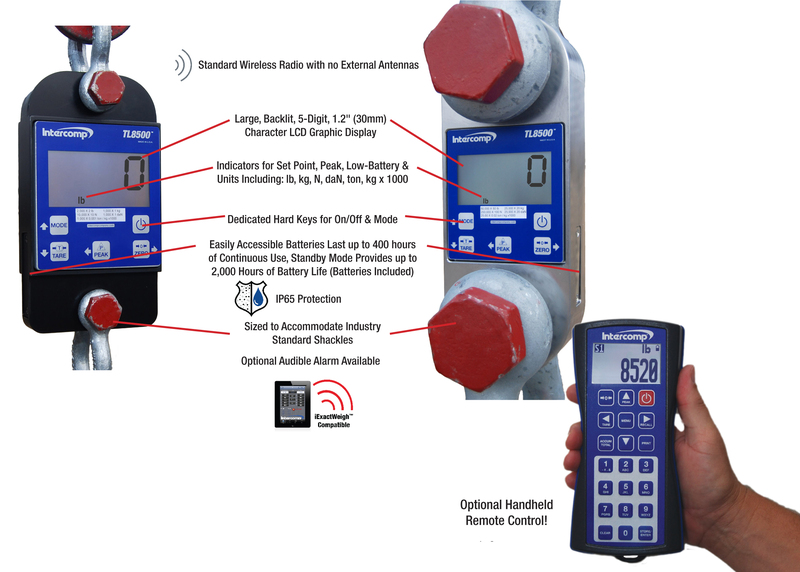 The TL8500™ Series Tension Link scales from Intercomp are the industry standard for verifying, controlling and monitoring overhead loads and line tension while helping to maintain a safe work environment. These tension links, with a self-contained LCD display, are machined from aircraft-grade aluminum with shock-mounted electronics in a NEMA 4x/IP65 weatherproof enclosure. Intercomp’s Tension Link scales are built to last in capacities ranging from 500lb (250kg) to 300 tons. Standard features include an easy-to-read 30 mm LCD display with back light and fully integrated wireless communication, while alkaline batteries provide upto 300 hours of power.